Durable and long-lasting kitchen sinks are hard to find. Especially the ones that are made out of stainless steel. 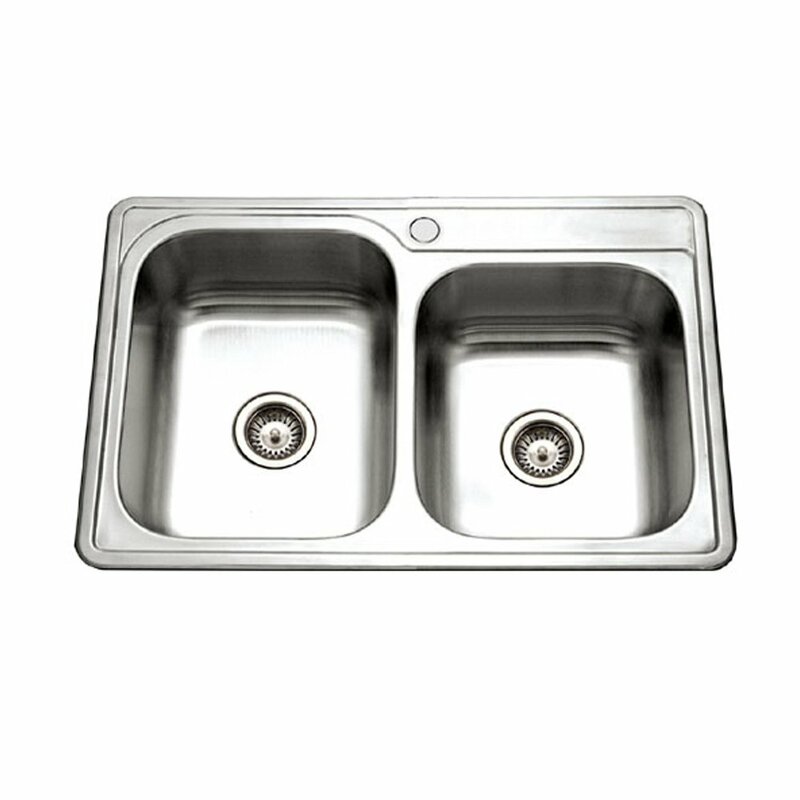 Where many steel sinks boast of incredible robustness and corrosion resistance, rarely do they deliver in reality. But that is not the case for Houzer and their Glowtone Series of Topmount Stainless Steel Kitchen Sinks. Their type 304 stainless steel alloyed with chrome and nickel makes the sink incredibly durable that lasts the test of time while resisting most corrosive chemicals. And at an affordable price range, the Glowtone is the go-to for a lot of homeowners looking to remodel their kitchen or planning to replace their older sink. Needless to say, the Glowtone was able to tick a lot of boxes on our checklist, and we hope it becomes your pick as well. 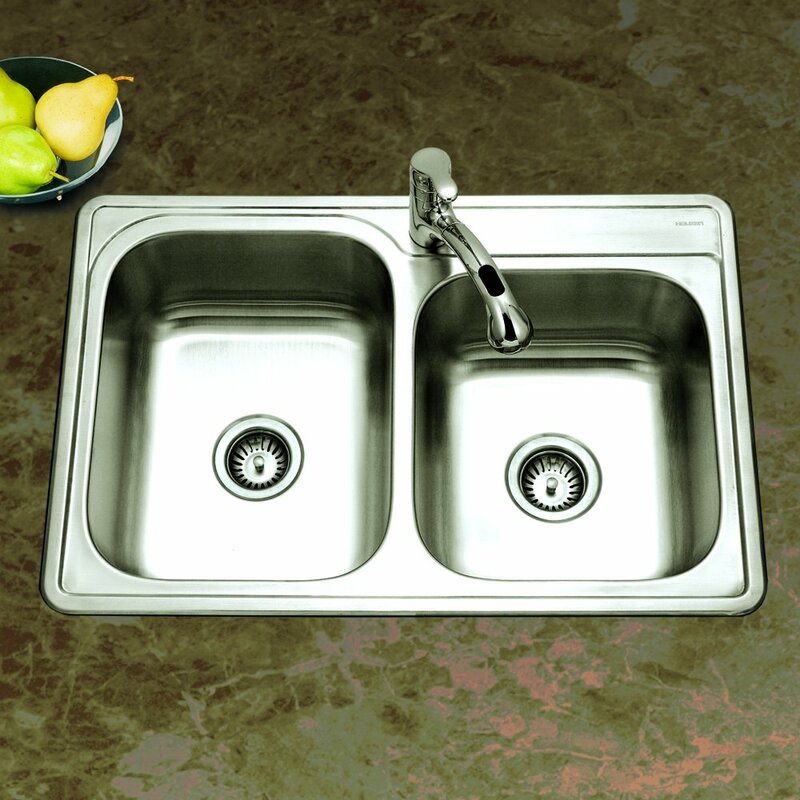 Why is the Houzer ISL-3322BS1-1 Glowtone Stainless Steel kitchen sink our pick for the day? What can Houzer choose to improve on in their Glowtone series of Kitchen Sinks? Houzer’s Glowtone series of sinks are known for their fantastic combination of sleek, user-friendly design and affordability. Made from sturdy type 304 stainless steel, the Glowtone sink is exceptionally resistant to corrosion, scratch, and dents. And along with the StoneGuard protection, not only is the sink antibacterial but provides excellent noise reduction and thermal insulation as well. This hygienic surface keeps the water warm for an extended period. Let’s take a look at all the exclusive details that make it so unique. The Glowtone series of top mount sinks is designed for everyday applications. Dressed in lustrous satin with a highlighted rim, the Glowtone will be able to accentuate any kitchen decor and uplift its somber mood. With an 8 inch depth and a 3-1/2 inch drain opening, this 20-gauge sink is made with practicality in mind and benefits all types of users no matter their age. It indeed is a well-rounded sink for the whole family to enjoy. The sink fits in a 36-inch sink base and is supplied with cutout templates, fasteners, and instructions that make it even easier for the user to avail of all its benefits. Stainless steel is known for its fantastic durability and robust nature, and Houzer uses the best kind of it in their Glowtone series. The 20-gauge sink is made of type 304 stainless steel which is an ideal 18/10 mix of chrome and nickel, and that sets the Glowtone apart from the rest of its competition. The premium durability of the core makes the sink extremely resistant to corrosive chemicals and physical damage, all the while keeping the surface hygienic and bacteria free. It’s easy to clean with just the help of a washcloth, and you will be able to preserve its flawless look with minimal care for a very long time. Like all other Houzer sinks, the Glowtone sink comes with a Super-Silencer pad as well. Made from natural rubber, the padding is just amazing when you want to minimize the noise made from running water and dish clatter. If you have babies or noise sensitive people at home, the Glowtone will fit your needs like a glove. The Glowtone also comes with StoneGuard protection, which is a marble powder based undercoating that helps in insulating your sink. Not only will you be able to keep the water warm for longer, but its new vibration absorption qualities will help in noise reduction as well. Even though with all its durability and long-lasting, robust nature, stainless steel fails when it comes to water stains and fingerprint marks. If not dried out entirely, water stains will be more noticeable after an extended period of use. Stainless steel feels entirely silver to the naked eye and to touch. This kind of appeal might be ideal for the kitchen area but will inevitably ruin a bathroom’s aesthetics. Houzer’s Glowtone series of kitchen sinks will help add that much needed personalized touch to your kitchen space. It was our pick for the day, and we are confident that it would give you one of the best kitchen sink experience. We hope you liked our review today.